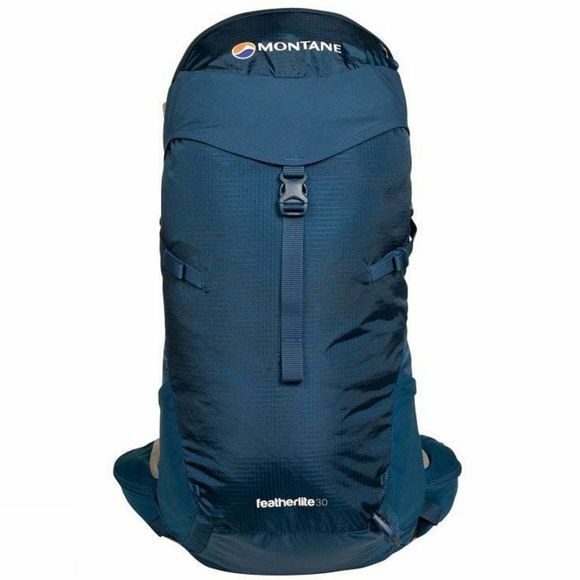 Montane have created a super lightweight technical mountain day pack that comes into its own on those summit days when you need to pack light and move fast. The Raptor Featherlite fabric is 100 denier and triple rip-stop with a specially enhanced PU coating for increased abrasion resistance and tear strength. The back system is constructed with Air Mesh Plus contact fabric which is breathable, plus a removable back foam pad can be taken away if not needed making the pack even lighter! 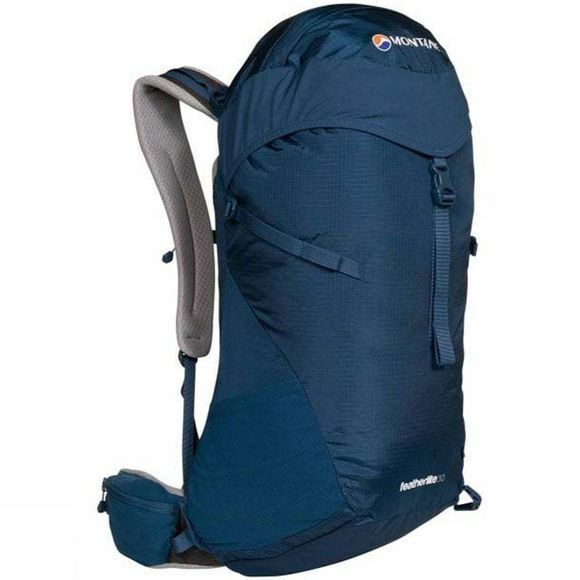 The Featherlite 30 has a large main compartment- great for loading and access, while multi-pocket configuration facilitates versatile storage options; thoughtfully an internal security pocket has been included, but also an external buddy pocket for your walking partner. Why remove your pack when you can share storage space on the move? There are also dual walking pole attachment at the base of the pack and a hydration bladder tube opening with arm harness attachment point. The Featherlite is a great option for fast paced hikers, and even runners.